With my ongoing mission to revisit restaurants, it brought Grace and I to Zipang Sushi out on Main Street. After attending We Day at Rogers Arena, we were both hungry and deaf from all the cheering and yelling. Nice to see such positive enthusiasm from so many youth though! Since I had already devoured a burger and fries, we felt sushi would be the best bet for an early dinner. 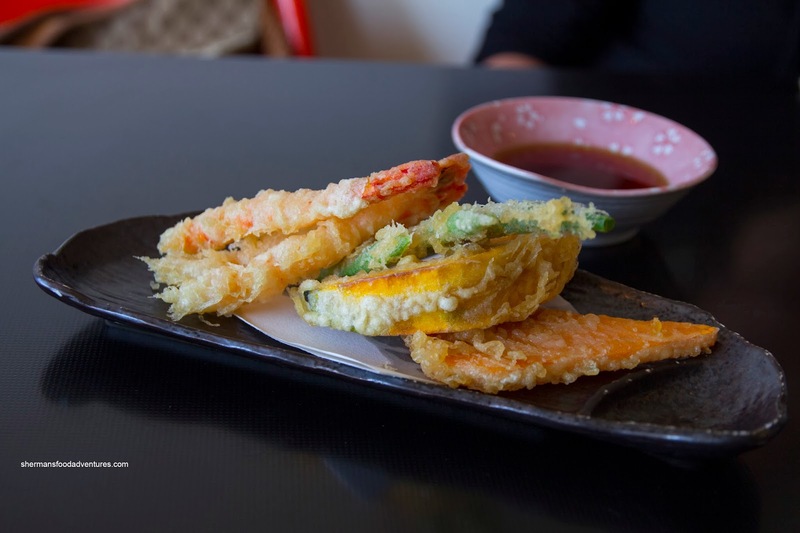 Delicate and crisp, the Assorted Tempura was ultimately affected by the amount of oil on the bottom of the plate. Therefore, the top pieces were good being cooked just enough while coated with some of the thinnest batter I've seen. The same couldn't be said about the carrot which was unfortunately the recipient of the oil slick - it was soft and greasy. Attractive in colour and exhibiting a nice sheen, the well-prepared Assorted Sashimi was really good. 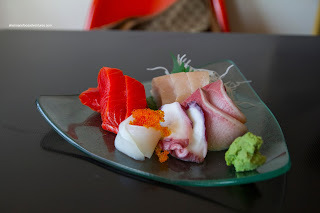 I particularly like the hamachi as it was sweet and mild-flavoured, rather than being fishy (as it sometimes can be). 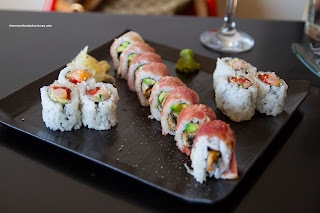 For our maki sushi, we had the East Meets West and the S.S.S. Roll. As the name implies, the EMW roll consisted of unagi and avocado with prosciutto on the outside (should've been named East Meets Italy). The rice itself was decently seasoned while a touch gummy and dense. Ingredients were good, yet the prosciutto was a little weak. As for the S.S.S. roll, it consisted of shrimp, scallop and salmon. Nothing particularly exciting about the roll, but it was solid nonetheless. 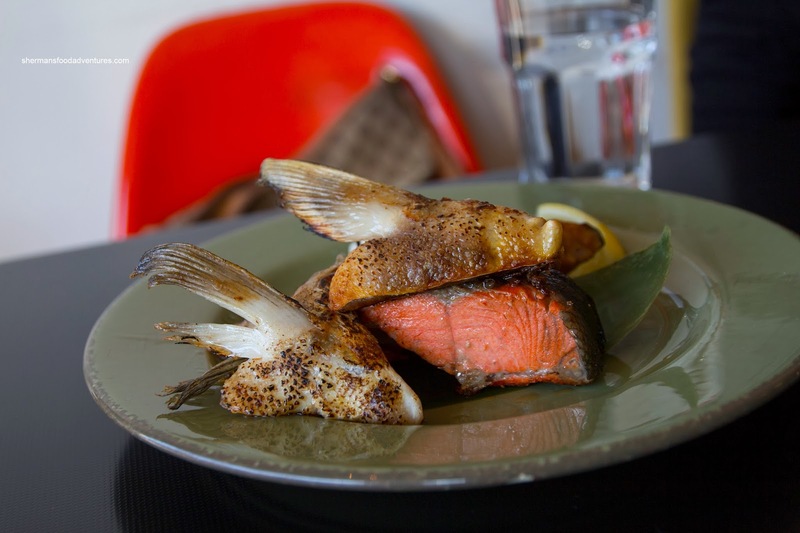 With quality ingredients, it was pleasant to eat. Lastly, we had the Sake Kama which was grilled up nicely. Of course the meat around the fins was buttery and soft while the collar was more cooked. 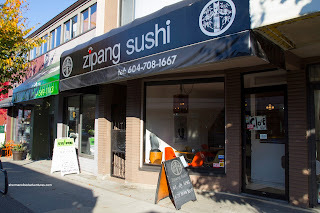 Much like my last visit (which was a long time ago), Zipang Sushi delivered in freshness, presentation and taste.